How to Prepare Well to Crack NEET PG At One Attempt: How should I need to prepare for cracking NEET PG medical entrance exams? This might be the GREATEST question in the candidates who are aspiring to appear for NEET PG entrance. If you have been preparing specifically for the NEET PG entrance, you must know your subjects thoroughly. That doesn’t mean you should know everything in depth, but that you must be having an idea about everything that is there in the book. That entails reading each subject cover to know all the topics in that book. And hence this NEET PG preparation starts from your MBBS and internship itself. It’s simply not done separately at a later date just before the examination. You need to have a strong base throughout your MBBS as the numbers of subjects are more. Next thing is you must solve as many questions as you can. If you are one of those lakhs of students who wish to take admission into Post graduation and are preparing for NEET PG entrance exam, you can get NEET PG preparation material online. 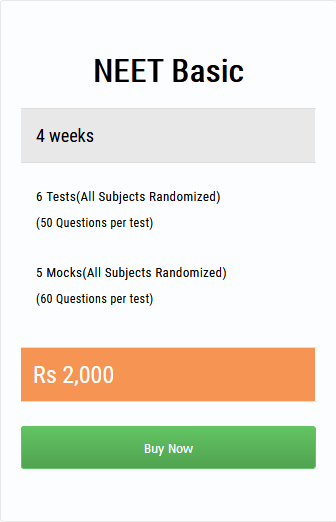 This portal also provides NEET PG Sample Questions which you can attempt as many times as you can. The NEET PG Sample Questions are prepared by experts like previous year toppers, physicians, doctors, alumni students etc. Forensic, Dermatology, Anesthesia, Eye, ENT these are the rank determining subjects. Many students focus too much on surgery and medicine. And hence are able to answer the standard questions in those subjects. What they are not able to answer from the major subject is believe me is too difficult questions. No amount of reading can help you solve them some tricky and difficult questions from the major subjects. Therefore it’s recommended not to neglect the “minor” subjects. The online portal provides NEET PG Sample Questions and standard questions. It’s recommended for students to keep checking the latest NEET PG Sample Questions and question patterns by visiting the NEET PG Preparation section regularly. If you prepare in the above manner your chances of cracking the NEET PG entrance exam are more in the first attempt itself. Be confident and aim for the best course and best college. ALL THE BEST!